Over recent years, Thomas Elsaesser has published so prolifically that one might be forgiven for occasionally wondering if “Thomas Elsaesser” is the name not of an individual but of an academic collective. This is a fantasy that the less dynamic among us might perhaps be able to sustain were it not for the fact that the quality of his books is so consistently high. European Cinema, Elsaesser’s third publication in two years, is no exception. Its 563 pages take the form of a collection of writings on contemporary European cinema selected from across his career, ranging from film reviews of the late 1960s and early 1970s through to seminar presentations from 2005. It is thus literally a life’s work. Only Thomas Elsaesser could have authored this collection, as no other academic has a lifetime of comparable writing on recent European cinema to draw on. The book comprises over 30 articles on subjects including European film festivals, Ingmar Bergman’s Persona (1966), the late films of Joseph Losey, Raoul Ruiz’s L’Hypothèse du tableau volé (1979), 1980s British television, Dusan Makavejev’s The Switchboard Operator (1967), Peter Greenaway, Slavoj Žižek, 1970s Fascist-chic, and various aspects of European cinema’s ambivalent relationship with Hollywood. Elsaesser’s anthology is unapologetically cinephilic – about two thirds of the articles focus on an individual director, and a third focus on single works. For example, the history of East German cinema is condensed into a study of the work of Konrad Wolf; West Germany’s early 1980s obsession with its recent past (itself triggered by US TV series Holocaust ) is addressed through a critical piece on Edgar Reitz’s Heimat: Eine deutsche Chronik (1984). But European Cinema is not only an anthology of film criticism. It is also an attempt to answer the question: what is European cinema? The collected articles are bracketed by about 130 pages of new material which addresses the troublesome question of contemporary European (cinematic) identity. It will come as no surprise to anyone who has read Early Cinema (1), Elsaesser’s seminal anthology of diverse historians’ writings on early cinema, to discover that old material and new threads of argument are weaved together with consummate artistry. The result is not seamless, but European Cinema holds together surprisingly well. Articles become case studies, resulting in a book that is more than the sum of its exemplary parts. So what is Elsaesser’s argument? It is that, since the early 1990s, European cinema has lacked an “identity construction” (p. 9). The auteur, the various post-war new waves, and the tendency for films to reflect national themes were once its most prominent features. They were also the features according to which it defined itself and through which it distinguished itself from cinematic Others, especially the “big Other” of Hollywood (p. 499). These identity constructions are no longer valid. European cinema can no longer satisfactorily define itself in terms of exclusion. It is multi-cultural and multi-ethnic, its internal and external borders are porous, it is the site of intra- and extra- European co-productions, and so on. For example, how to label Fatih Akin’s Head-On (Gegen die Wand ), a film about two second-generation Turkish Germans by a filmmaker who defines himself by his cultural hybridity? Or Chocolat (Lasse Hallström, 2000), a UK/US co-production, directed by a Swede and set in France? At the same time, European cinema’s global role has shrunk. When once art cinema could reasonably be regarded as a subset of European cinema, now European cinema can be regarded as a subset of art cinema, a minority presence in the programmes of globally-orientated film festivals. In response to the momentous political, social, and economic changes that have taken place in and beyond Europe since the late 1980s, European cinema is undergoing a process of redefinition. European Cinema is an account of, and a contribution to, this redefinition. Elsaesser traces how European cinema is changing, and suggests ways in which our perceptions of it might change accordingly. The identity construction that he proposes is one which demotes the concept of national cinema to the level of a “floating designation” (p. 76). In its place, he favours a concept of a European cinema based on “mutual interference” among nation states, a modus operandi institutionalised in the workings of the European Union (p. 126). His proposed identity construction also involves superannuating the conventional Hollywood-Europe binary which seemed to fit so neatly in the 1960s but has since become an increasingly glaring example of European cultural hubris. Hollywood figures large in this collection. Each time Elsaesser invokes it, he complicates Europe’s relationship with it, subverting conventional oppositions: Europe / Hollywood, art / commerce, elitism / populism, auteurism / genre, etc. As an alternative to these binaries, he sees post-war European cinema as subject to divergent compulsions. Hollywood, still the big Other, continues to occupy Europe’s cultural imaginary. Another forceful presence has been the Soviet Bloc, (Western) Europe’s own Other. Equally potent has been the “historical imaginary” (p. 325) of Europe’s past, and the question of how to deal with it (i.e. how to represent it). Each of the forces pressing on European cinema is given its own section in the book and used as a means of binding together Elsaesser’s diverse articles under common themes. There is a perhaps obvious but still useful observation to be made at this point, namely that Cinema Europe is a microcosm of Europe. By chance or design, it comprises 35 articles, one less than the number of countries currently a part of or negotiating to join the European Union (25 and nine respectively). Analogously, Elsaesser himself can be seen as an editorial European Commissioner, creating a framework within which the book’s constituent articles can productively cooperate. This analogy, though a bit over-stretched, highlights the fact that Cinema Europe is perhaps not quite as academically apolitical as it first appears to be. It seems to me that a key element of Elsaesser’s project involves redeeming the concept of European cinema, and so by implication that of Europe itself, at a time when both are often taken as empty signifiers, second-order labels for the sum of their parts rather than first-order descriptions of coherent cultural entities. Elsaesser is too urbane a writer to launch into didactics. However, in the paragraphs of his framing chapters on contemporary European cinema, objective analysis and identity construction sometimes merge. The result is occasional sentences whose neutral academic tone disguises opinions of what should be as descriptions of what is. For example, in the following sentence, he makes what seems to be a logical argument (A is the case, therefore B is the case): “Only a state that can admit to and make room for the multi-cultural, the multi-layered within its own hybridities can henceforth claim to be a nation, and therefore only films that are prepared to exploit hybridities, in-between states, the self-in-the-other can be in the running for a national cinema” (pp. 39-40). Yet what Elsaesser phrases here as a logical necessity is premised on a model of European nationhood that is, at the moment, an aspiration rather than a reality. Although Elsaesser himself – a German, university-educated in Britain, based in the Netherlands, who writes in four languages – is an exemplar of the new hybrid Europe, much of the continent still stubbornly refuses to accept the premise according to which he lives and works. Elsaesser’s model of how to discuss, and to live, European identity is an inspiration. But it continues to be contradicted by the many millions who vote for nationalist parties, as well as by governments whose policies ensure the continued existence of a repressed, socially-excluded Other, and the consequent repeat of such violent “returns” as last November’s riots in Paris. In contrast to Head-On, the example of hybrid European cinema with which Elsaesser concludes his book, I cite the counter-example of Little Britain (TV series, 2003-2005). Head-On demonstrates the vitality that can result when a film looks unflinchingly at European social hybridity. Little Britain demonstrates the commercial success that can be gained by reiterating stereotypes of cultural Otherness. Returning my attention to its structure, I wish to suggest that Cinema Europe is subject both to centripetal and centrifugal forces. Its constituent articles all interact with Elsaesser’s core argument – some because they directly address European cinema’s process of redefinition, some simply because they are about films that do so. However, they do not interact so easily with each other. Although Elsaesser performs his role as an editorial European Commissioner with a verve rarely seen in Brussels, there is only so much ex post facto structure that can be imposed. Each article remains its own cinephilic nation state, with its own critical history, stubbornly independent. In this respect, Cinema Europe can perhaps be compared with another slab of a book – the big Other of David Bordwell, Janet Staiger and Kristin Thompson’s The Classical Hollywood Cinema (2). Both are microcosms of the cinemas that they describe. In contrast to Cinema Europe’s structural tensions, Classical Hollywood is unambiguously periodised and divided into chapters according to the standard film academic “genres” of aesthetics, technology, and economics; each chapter is written according to the same academic paradigms, using the same methodology, resulting in a cohesiveness belied by its multiple authorship. Elsaesser’s book deserves as wide a readership as Bordwell et al’s. Unfortunately, precisely because Cinema Europe is what Classical Hollywood is not, it will probably not be anywhere near as influential. Hollywood makes more product, is seen by more people, and so is a focus of more critical interest. So more people will read Classical Hollywood, and the opposition between Hollywood and European (art) cinema embedded in its final chapter will continue to perpetuate the Hollywood-Europe binary that Elsaesser seeks to overturn. Similarly, because Cinema Europe is a structural microcosm of European cinema, it will never become the standard reference tool that Classical Hollywood has become. Although its constituent articles are collated thematically, the information they contain remains diffuse. If you want to know about European co-productions or Polish cinema, you will need to make creative use of the index, and may find yourself looking at fragments of information scattered across dozens of pages. This is not a criticism. In fact, if the book’s structural tensions are authentically European, then these tensions are also a strength. Cinema Europe is the critical map that the complexities, ambiguities, and contradictions of contemporary Europe and its cinema deserve. 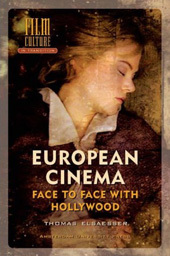 European Cinema: Face to Face with Hollywood, by Thomas Elsaesser, Amsterdam University Press, Amsterdam, 2005. Elsaesser (ed. ), Early Cinema: Space, Frame, Narrative, British Film Institute, London, 1990. David Bordwell, Janet Staiger and Kristin Thompson, The Classical Hollywood Cinema: Film style and mode of production to 1960, Columbia University Press, New York, 1985. Richard Misek is a film-maker and Lecturer in Screen Studies at the University of Bristol. He is the author of Chromatic Cinema (Wiley-Blackwell, 2010).